Have you ever spent much time thinking about your cat’s paws? And no, thinking they are very cute when they zonk out with them face up doesn’t count! While cat paws are of course there for all of the usual stuff, walking, jumping, pouncing etc., there are actually a bunch of other interesting tidbits you would probably like to know! 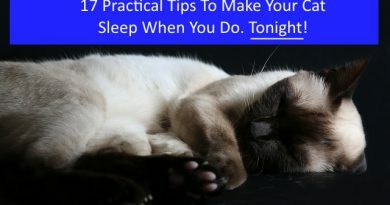 Not only are your cats paws useful from a generic sense of getting around, but they are really geared toward ensuring your cat can do things like mark her territory, chase down her prey and of course complete tasks that are much more complex than swatting your when you try to pet her tummy. So let’s take a look at a few interesting cat paw facts! You know how we humans have a dominant hand and a dominant foot, well your feline friends do as well! While there isn’t any definitive percentage of cats that use their right over their left paw, the research does show that that they do indeed have paw preferences. What’s interesting is that this is even more prominent when our feline friends are doing something they consider difficult, like trying to work treats out of a food puzzle. This should remind you of yourself because difficult tasks that require finesse, for example writing, are typically conducted using only one hand. There aren’t many of humans that are ambidextrous! While I’ve never read any details on whether or not gender correlates with handedness in humans, there is some research produced by the Queens University in Ireland that at least indicates some level of correlation between gender and right or left paw dominance. They shows that male cats tend to be right pawed and their feline counterparts tend to lean on their left paw more often. If you’re curious about which paw your cat tends to favor it is pretty easy to find out. There are all sorts of ways you can do this, but the easiest is to place treats in hard to reach places where your cat can’t simply walk right up and eat them. You could place them in between flower pots or anything that is heavy/immobile and unlikely to tip over to see how your cat reacts. Note that for any accurate reading you’re going to need to conduct this test a lot of times. Only doing it once or twice won’t tell you anything specific! Have you ever tried to sneak up on someone very quietly and depended on walking on your tip toes to make sure they don’t hear you coming? Cats actually walk on their tip toes almost exclusively! They are what scientists call digitigrade. This basically means they spend almost all their time up on their tip toes! For us humans walking on tip toes is kind of a hassle and we don’t really need to do it unless we’re sneaking around. But for cats they’ve evolved to walk on their tip toes to enhance their chances of survival. Just like we humans, walking on tip toes makes cats harder to detect and it also makes it harder for their prey to detect them. Does Your Cat Hate When You Touch Her Paws? I don’t know about your cat, but both my cats are pretty quick to yank their paws away from me the second I try to touch or squeeze them in any way. At first I wondered why that would be, it’s just a paw after all! My dogs growing up never had any trouble with this. But there is of course a reason for this, and it isn’t just because they don’t like being touched. 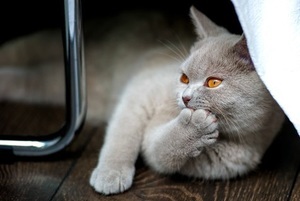 Most cats object to having their paws touched because the pads on the bottom of their paws are extremely sensitive. Very similar to cat whiskers, they are directly tied into the nervous system of your cat and they’ve got a boatload of receptors in them. This means cats prefer to touch their paws themselves and that’s about it! These receptors make the paw pads on your cat an aid in of course getting around, but also in hunting by helping them maintain balance on uneven or difficult surfaces. It may also be surprising, but some signs point to their paw pads being sensitive enough to help them feel vibrations in the ground which might alert them to the location of their prey or a potential predator sneaking up on them. While all of the above details might sound pretty cool, there are some things worth considering on the negative side too. 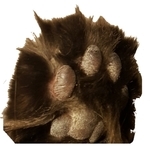 Paw pads are strong enough to help keep paws safe in many circumstances, but they can be easily injured by extreme temperature or too much pressure. Different textures can also feel uncomfortable to your cat which will result in them avoiding areas that have that type of texture. This is a great reasons that things like double sided tape work at keeping cats off counters or cat mats work to keep cats out of gardens without directly harming them. I suppose it is no surprise for me to tell you that your cat’s paws are incredibly flexible. If you’ve ever watched your cat climb up to a high place you’ve definitely seen this in action, their paws flex and turn around edged or rounded surfaces to help them grip. Their front paws have specifically evolved to turn inward in order so that it is easy for their claws to sink into surfaces they are climbing. Keep in mind that having sharp claws is part of the deal for climbing well, if your cat is scratching up a storm take a look at this article to help redirect your cat to a desired scratching surface. Your cat has quite a toolset available for grooming, but the most obvious you’re probably aware of is her tongue. She uses it to handle a lot of her daily grooming duties. But, paws help her along in the process, especially in areas that her tongue can’t get to. You’ll see your cat use her paws to groom her ears, under her chins and all over her neck and face. Beast in particular rubs her paw over her face then licks it then does this again and again. Mothers usually start to teach their kittens this process before they are weaned so your cat might not be the best at this type of cleaning if they were hand raised by humans. While cat scratching is of course a normal behavior and something you can’t really stop, there’s far more reason for it than simply sharpening nails. Cats actually scratch objects to mark their territories. There are small scent glands in the paws and while your cat scratches they release pheromones on those surfaces. These pheromones tell other cats all about who was there and let them know this is someone’s territory. 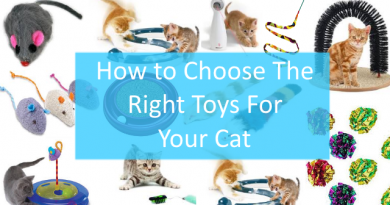 You may find scratching associated with spraying if you have a cat that sprays, this is not uncommon as it is another way for the cat to mark their territory. Unlike humans cats don’t sweat through their skin anywhere on their body. That would of course result in a very lousy hair day for your feline friend! Cats actually sweat from their paw pads. 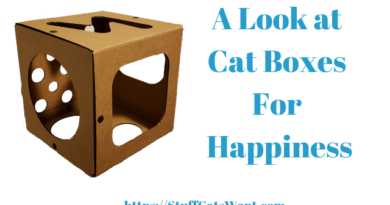 Although this is a heck of a lot smaller surface area than we humans have, it does aid in keeping your feline friend from getting too hot on a summer day. If you’re curious about the right temperature for your feline friend check this article out! Also note that beyond simply being hot, cats that are scared will also get sweaty paws. If your cat hates the vet or hates the groomer then you might notice little wet paw prints on the table when you take them on a dreaded trip. To the right here is a picture of Lexi’s paw pads, Lexi is black with a little shock of white fur. You’ll find things quite similar across the rest of cats as well! This is because the pigmentation in your cat that colors her fur is the same pigmentation that colors her paw pads! Pretty cool huh? 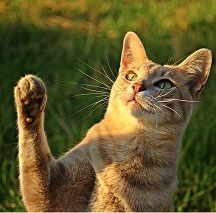 Cat paws are ideal for helping cats get around, especially in environments where they have to jump and leap constantly. Their paw pads cushion and soften landings meaning not only is there less impact on the overall body & joints, but there’s also a heck of a lot less noise. Pretty handy when you’re trying to stalking your prey and not alert them to your presence! If you’re curious about seeing this in action once of the best ways to do it is to play with your cat with a wand toy and convince her to jump after it. You’ll notice most cats land rather gracefully and without much noise at all, even on hard surfaces like wood floors. 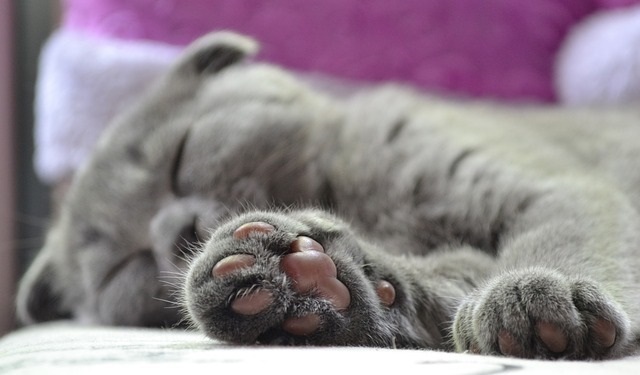 Your cat’s paws are pretty versatile and for the most part they are geared toward ensuring your feline friend is both as safe and as fearsome as possible. Who knew they had so many uses and they factored so heavily into the survival of our feline friends for so long?! If nothing else, it is great to finally understand why my fur balls don’t like me messing with their paws. 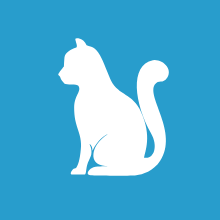 If you have any experiences you’d like to share about your cat and his or her paws then please let me know by leaving a comment below or write me directly at Craig@StuffCatsWant.com.